Agati grandiflora var. albiflora Wight & Arn. Agati grandiflora var. coccinea (L.f.) Wight & Arn. 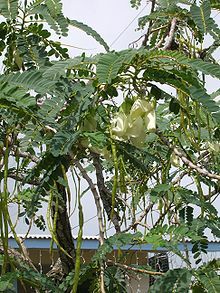 ↑ "Sesbania grandiflora". Natural Resources Conservation Service PLANTS Database. USDA. Retrieved 10 November 2015.